Our client, age 23, and her friend, age 21, were caught stealing 39 items from Target in Norwalk on Norwalk Boulevard, close to the Norwalk Courthouse. The items were all of relatively low value, i.e. shampoo, makeup, costume jewelry, hair braids, etc. Their total value was less than $400. Our client had no prior criminal record. The Point of This Case Summary: Our client, age 23, was charged with shoplifting in the Norwalk Superior Court. She was not a U.S. citizen. Greg was able to persuade the prosecutor, who at first opposed diversion, to agree to diversion for our client, resulting in dismissal of the case. She was not a U.S. citizen. Her family had told her that she would most likely be subject to deportation due to this offense, which was not true, but it certainly caused her to worry. When arrested, our client and her friend admitted to shoplifting from five other Targets as well. They were apparently hoping to show cooperation and candor, but this was not effective in having Target waive their right to file a police report. Our client was otherwise honest with loss prevention personnel from Target and the Norwalk Police Department. 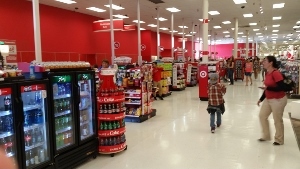 Target had lengthy video footage from store security cameras showing our client and her friend placing the items at issue in a large bag, passing right by the cash registers and walking out the store’s front door before being stopped. The Bellflower District Attorney brought charges against each young lady for violating Penal Code § 484(a), misdemeanor petty theft, and Penal Code § 459, misdemeanor commercial burglary. The reader should note that the primary difference between the charges is that commercial burglary involves a victim that is a business and involves someone who had the intent to steal before entering. This was inferred in this case because our client brought in a large bag to Target and then used it to load the items she and her friend tried to steal. 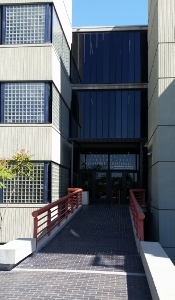 The District Attorney took a dim view of our request for diversion, wherein our client would perform a certain amount of community service or even community labor (which is more strenuous than community service) in exchange for a dismissal, as the stolen items were all returned and our client was young, with no criminal record. Greg Hill consequently had our client complete an online shoplifting prevention course from the National Association for Shoplifting Prevention, for which she received a graduation certificate. Greg Hill then wrote a Defense Position Letter to the District Attorney, arguing that our client was an appropriate candidate for formal diversion due to her completing the shoplifting prevention course to better understand the factors that led to her shoplifting compulsion. Greg Hill also included a host of “Good Gal” materials of letters, photographs and awards, showing that our client otherwise was highly regarded by her peers and friends. He also described how our client’s education would be rendered worthless with a crime of dishonesty making her employment opportunities as a beautician very low. When the handling District Attorney remained opposed to formal diversion, Greg Hill met with the supervising attorney and persuaded him to extend the offer of formal diversion. The terms of the plea bargain were that our client had to perform twenty days of community labor and write a letter of apology to the judge, in exchange for a dismissal. Our client gladly accepted the offer, relieved that her criminal record would remain unblemished once she performed the required community labor and wrote the required letter. Her family was very happy, as well, mainly due to their concerns about deportation.